The SUNY Orange Department of Criminal Justice offers two degree programs: the Associate in Science (A.S.) in Criminal Justice and the Associate in Applied Science Degree (A.A.S.) in Criminal Justice/Police. Both programs are designed to develop the practical and analytical skills needed for a student to embark on a career in criminal justice. 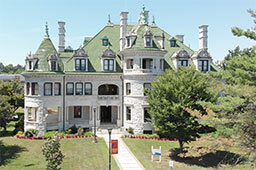 Students who intend to continue their education beyond an associate’s degree are strongly encouraged to pursue the A.S. degree, rather than the A.A.S. Information regarding the Law Enforcement/Security Certificate program is below as well. The required courses for each program are listed below. *Students must complete Math 120 or higher. Math 102 can be counted as an "ANY SUNY GE" elective. ***For Restricted SUNY Electives students may not take more than one course from any one of the GE lists. Note: Please see the College Catalog for more complete information regarding these programs.